Many of the shirts I make for my clients are of the "Plain Vanilla" type...tasteful but not fancy. 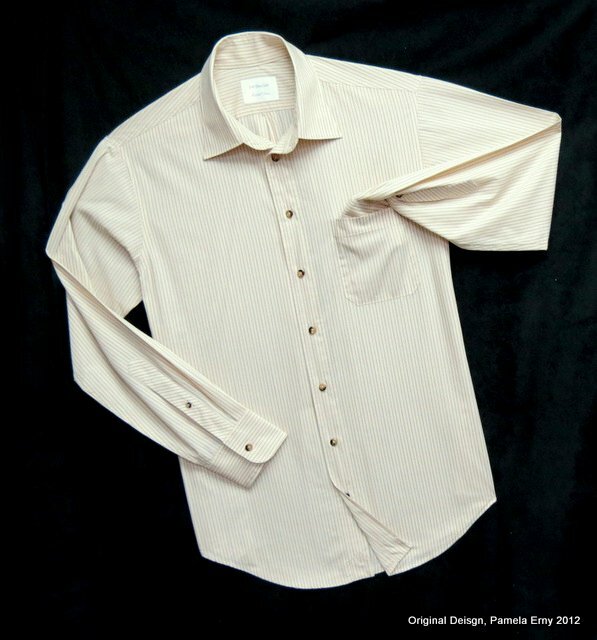 Usually I do not bother to post these to my blog because you have all seen plain tailor-made shirts 1000 times over. And I was ready to send this one to my client when I realized that it has a design detail that you might like to see. This is not a separate piece. 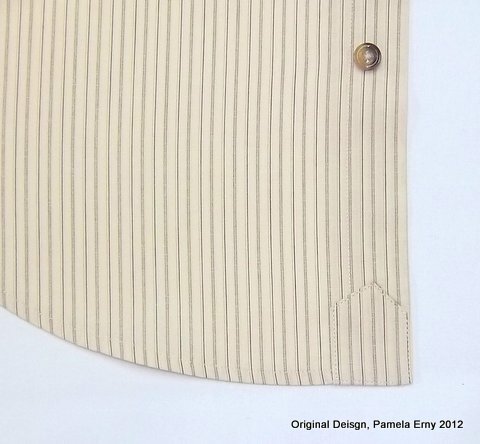 It is cut as an extension of the button placket. To finish, it is folded up to the right side, and edge-stitched. 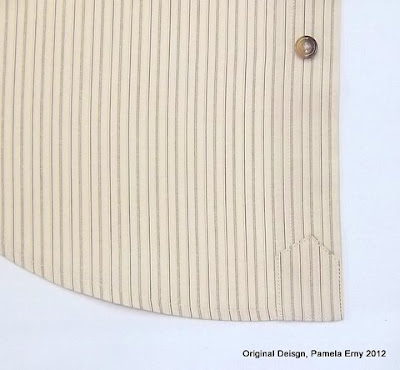 Placing buttons inside is optional, and the shirt sent to this client does not include them inside the placket extension. Pam I've never seen this before! As always - a brilliant idea. Yes, another wonderful detail. Thanks for sharing it. I agree. What a brilliant detail! Thanks for showing this to us. Thanks Pam, this is very clever. I enjoy sewing extra details, especially when they look so professional, and always appreciate your great tips, ideas and tutorials. Brilliant, Pam! 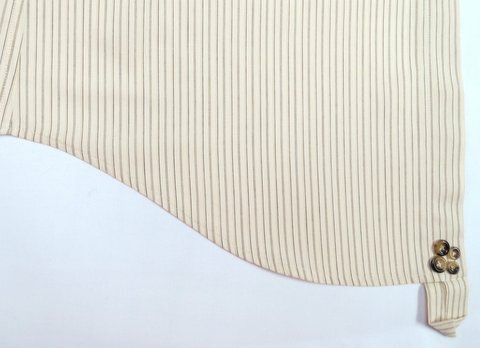 It is always so clear why your shirts are high end custom. Your creative attention to detail is inspiring. Pam, thanks for sharing the photos and detailed explanation of this fabulous detail. It's an example of what makes your work so special. Great detail! Would you make a tutorial about hemming a shirt? Thanks! I love little details like that! Thanks for sharing!